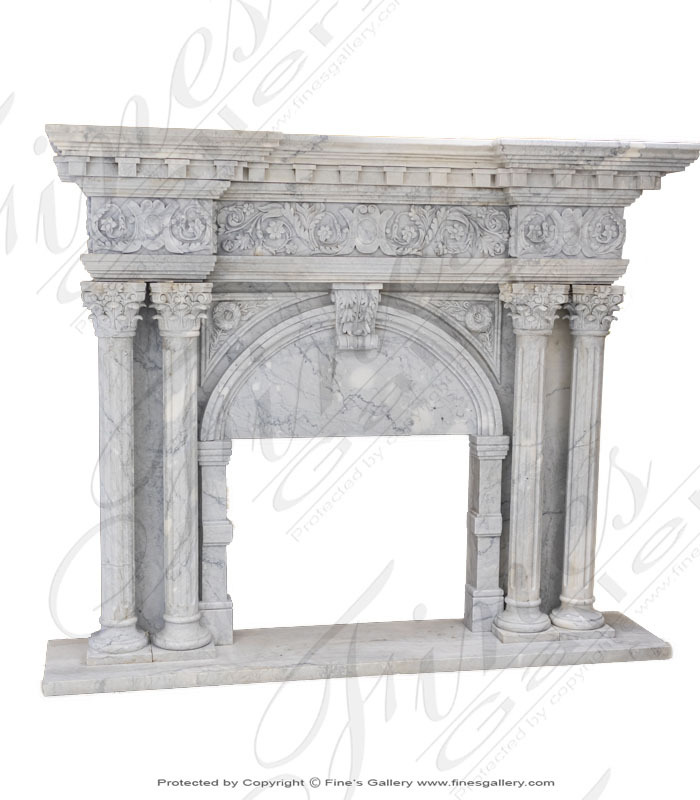 This marble fireplace has a beauty and elegance which will be felt throughout the entire house. 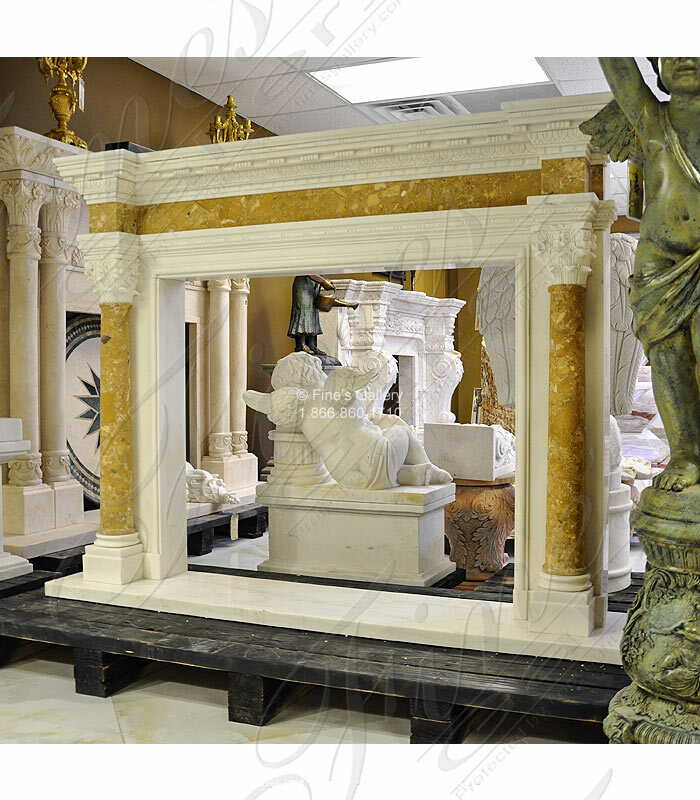 Ornate Corinthian capitals and foliage artwork make an excellent display for the beautiful, natural beige tones of fine marble. 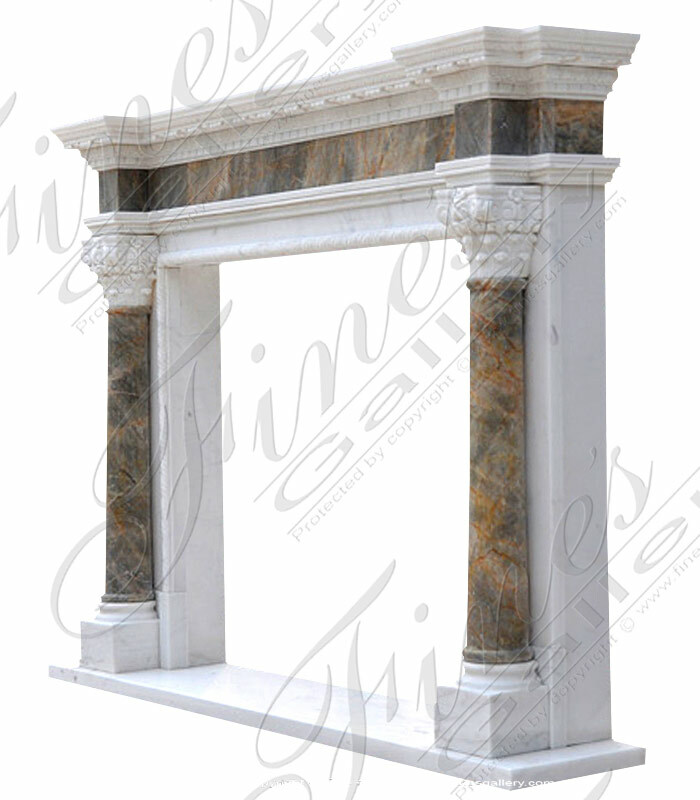 This beautiful columned marble fireplace surround will bring you years of enjoyment and add to the beauty of your existing decor. 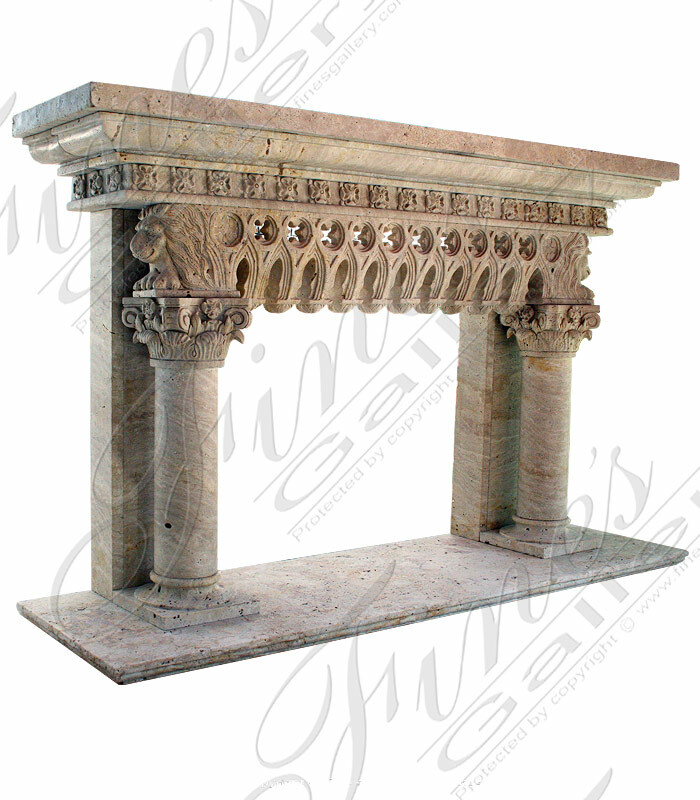 Featuring our columned design styling, highly detailed. 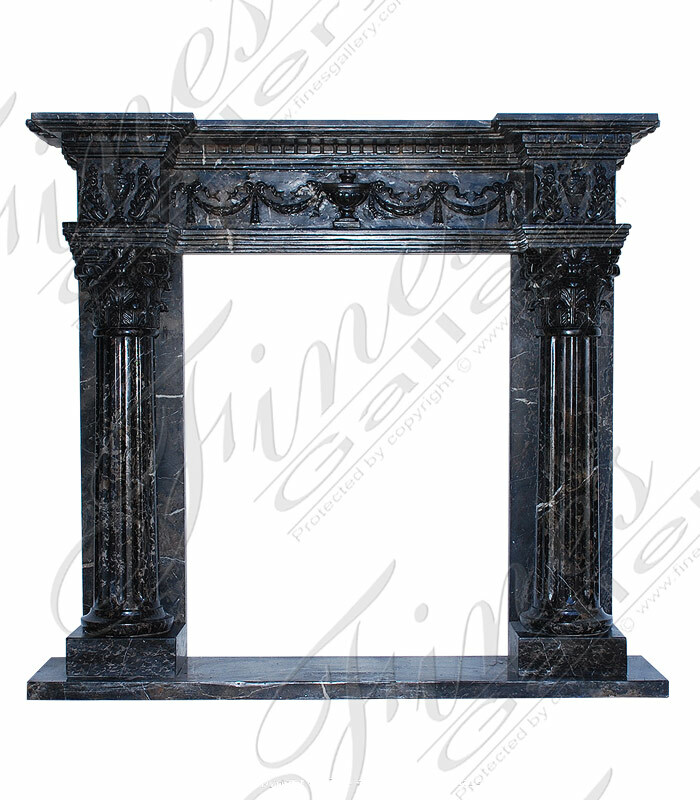 This columned mantel is carved from elegantblack marblewithin adesign featuring spectacular fluted Corinthian columns. This piece will be an investment to enjoy for generations. Contact the gallery today. 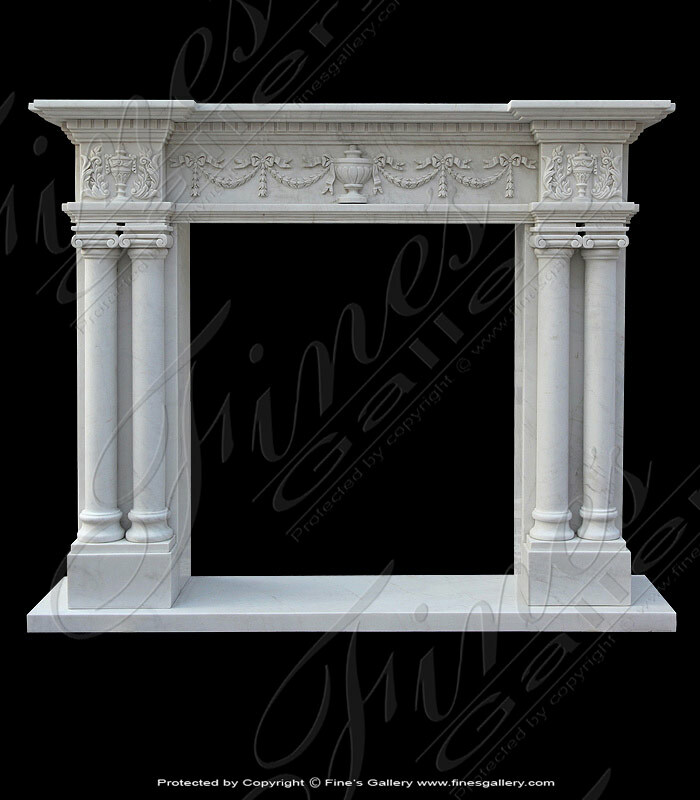 Made from a combination of pristine white and Nuvolato Etrusco marble, this beautifully designed fireplace surround will enhance any home's interior. 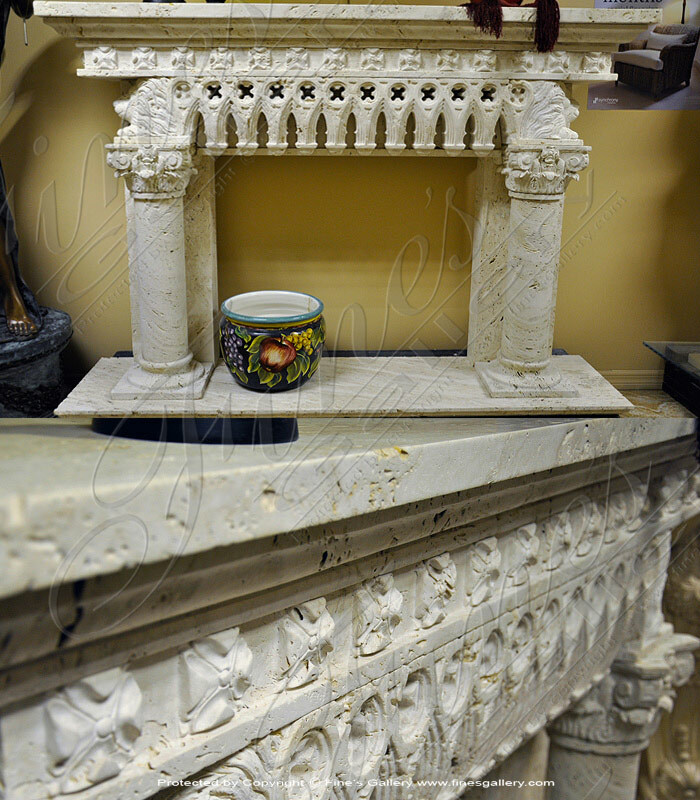 Finely hand carved with precise detail, this piece features two elaborate columns and artistry galore. 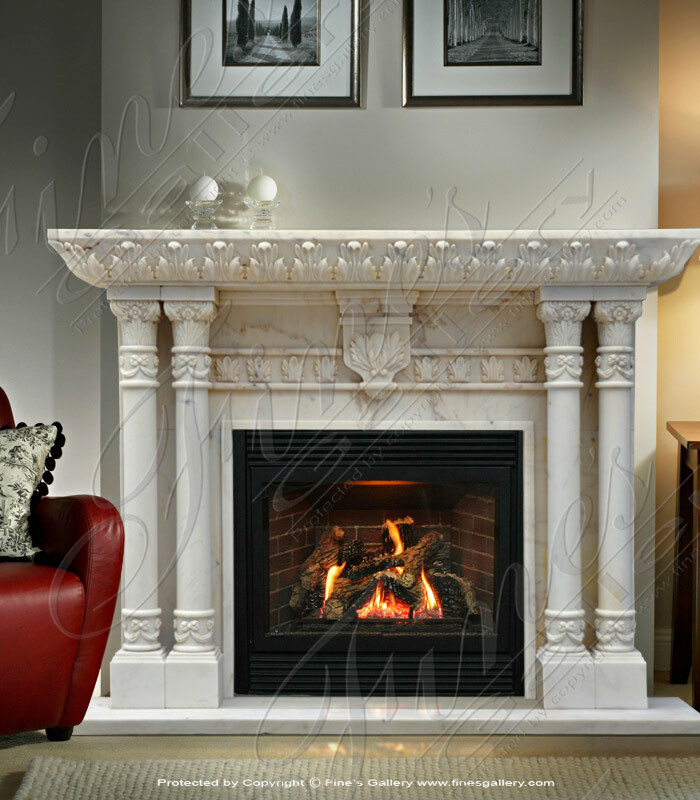 Luxurious White Marble Fireplace. All hand carved from solid marble. 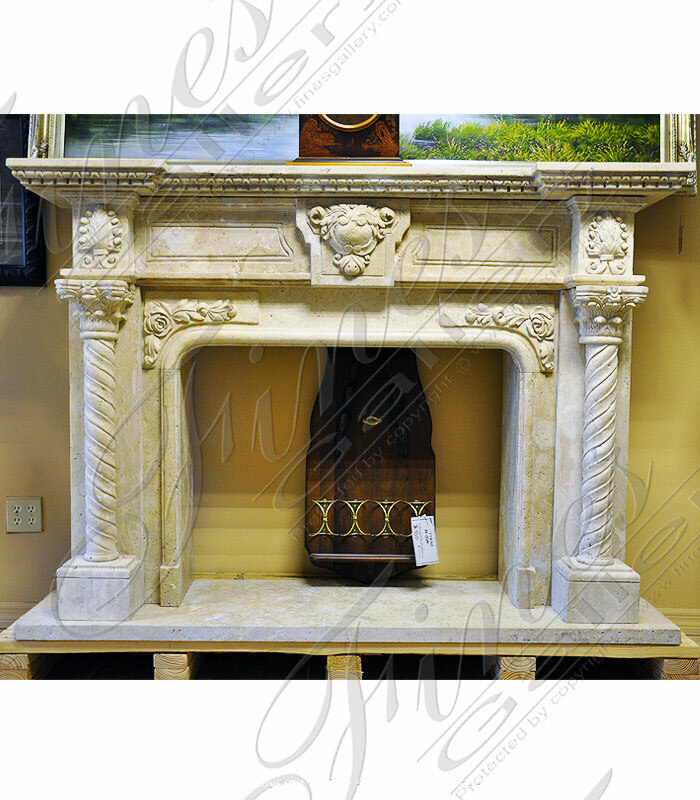 This beautifully designed marble fireplace is all hand-carved in solid marble. 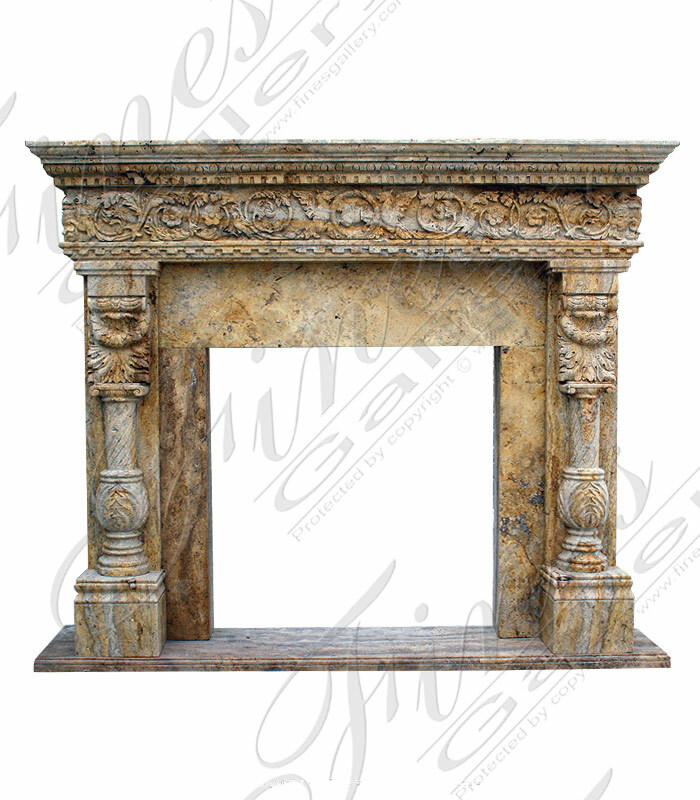 Featuring intricately carved columns with capitals, delicately carved designs adorn this fireplace throughout. 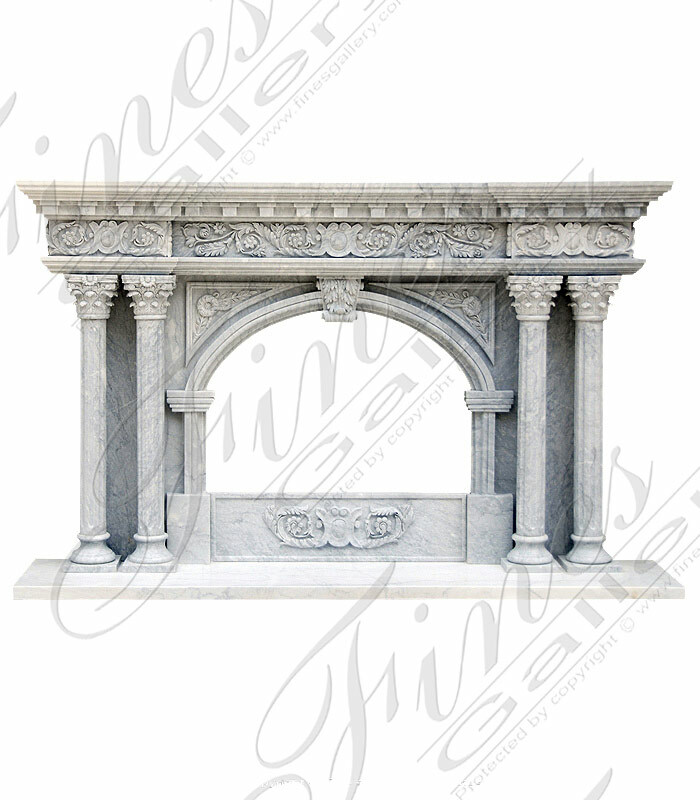 Custom designing of this mantel can also be done for you. 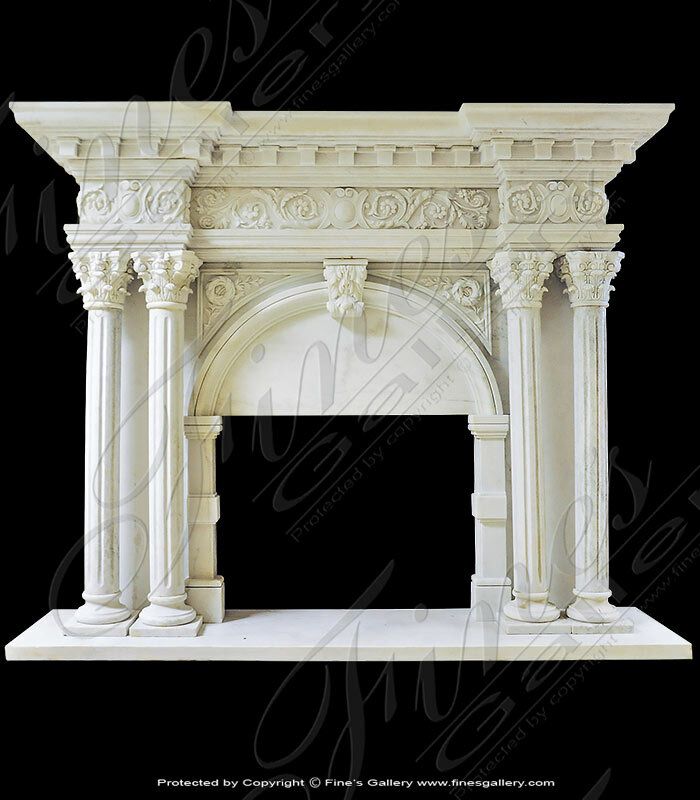 Gorgeous Antique White Marble makes an elegant companion for this exquisite fireplace design featuring ornate Acanthus leaf decor. 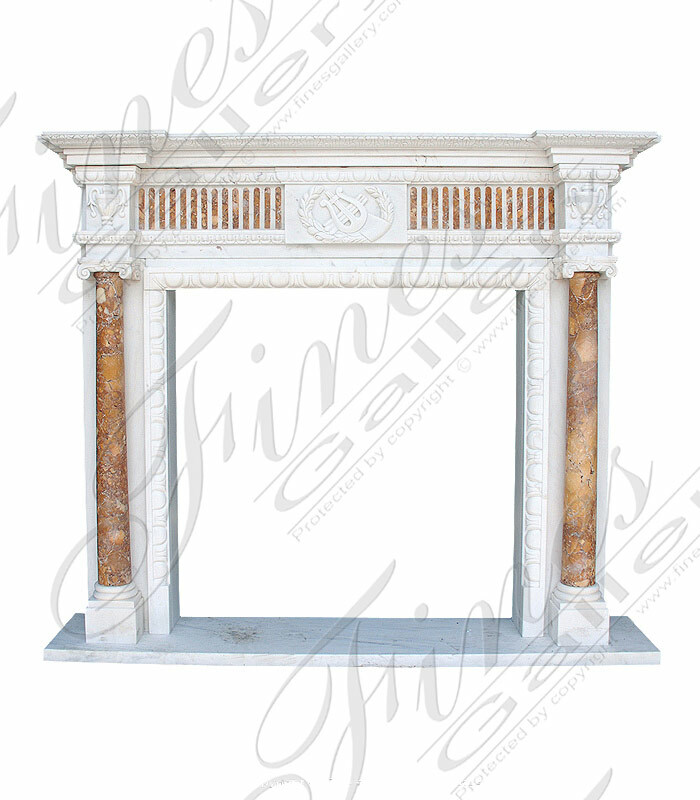 Twin columns complete each side, giving this piece a beautiful, classical appearance. Contact us to begin customizing today. 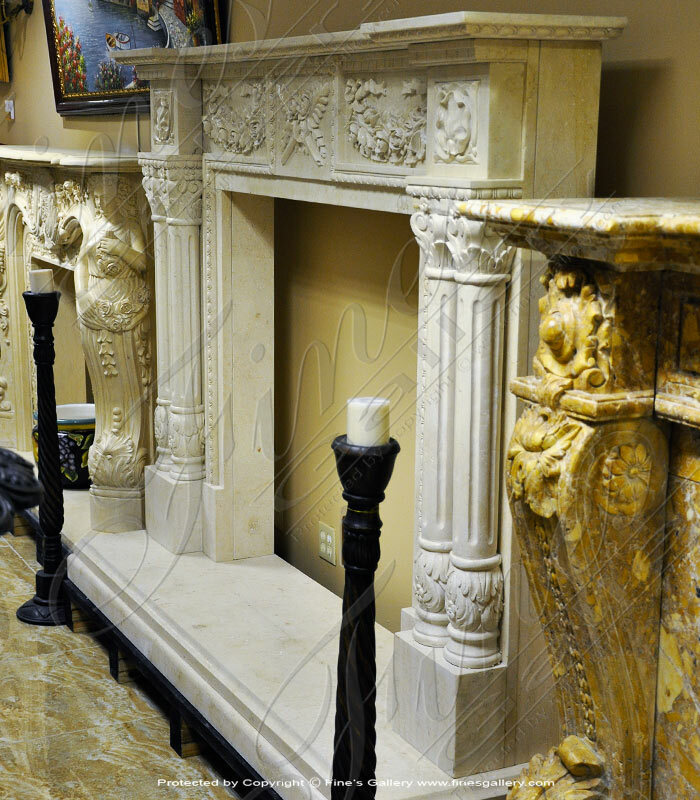 Hand carved from 100% natural solid marble including a very unique and beautiful marble named Breccia Antique. Travertino Scabas is an imported travertine marble. 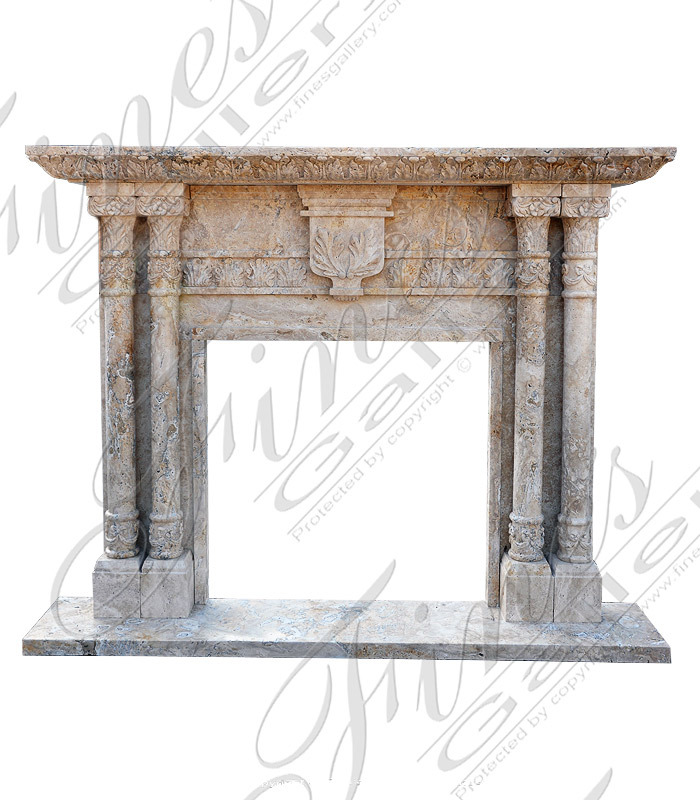 This is quarried exclusively in the country of Italy. 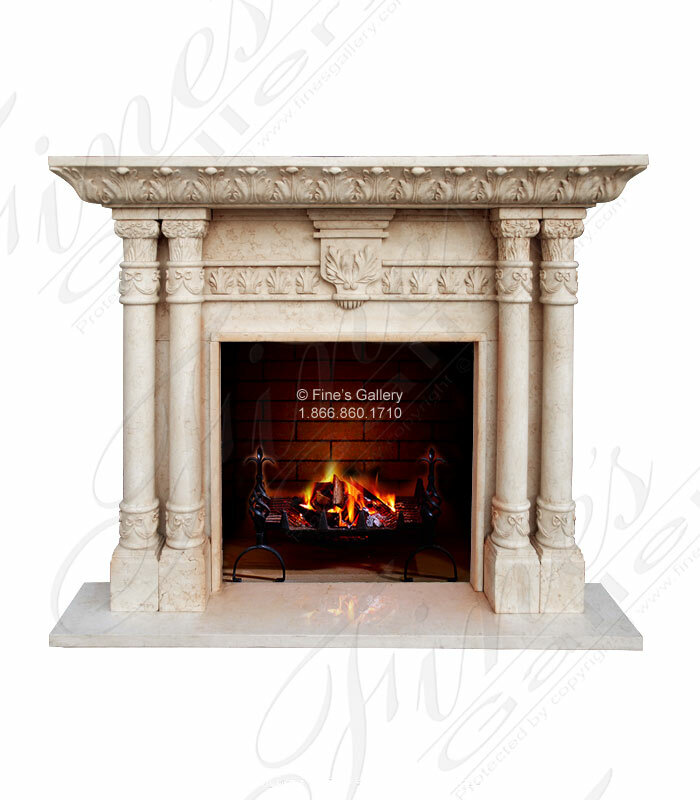 Fine's Gallery has scowered the world to find the most beautiful natural marble and imported it to our Florida Showroom.